Oliver Heldens recently launched Heldeep Records, as well as revealing himself as the mystery producer HI-LO, who had a debut release ‘Crank It Up’ on Mad Decent. Over the course of his rise to prominence, this Dutch DJ/producer has arguably earned his place alongside the world's biggest artists, using his studio and DJing abilities as the driving force behind his success. HI-LO will have the first release on the label. What started as his weekly Heldeep Radio Show, his platform for new talent, has evolved into a full-fledged label that is now home for his own releases, as well as his favourite artists. Additionally, Heldens aims to utilise the label to play a pivotal role in helping cultivate the careers of budding producers, such as Curbi. 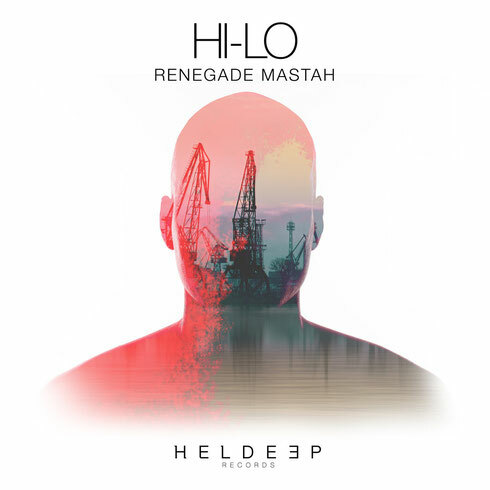 To kick off Heldeep Records, Oliver offers HI-LO's new single, ‘Renegade Mastah’. Using the unforgettable vocal from Wildchild's ‘Renegade Master’, he crosses genres, moving between old school breakbeat rhythms and high-energy, tech-house-like grooves with industrial accents, and heavy low-end punches throughout. Check it out below, it’s out 20 July.